1 What Exactly IS Dungeons and Dragons? 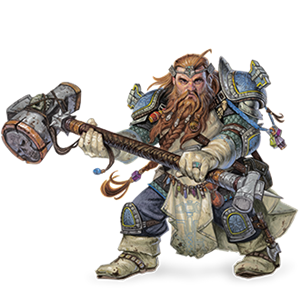 This handout is designed to give you all the information you need to join the Forged Lands of Shaar Dungeons and Dragons campaign. We play once a month (sometimes more) using D&D 5th Edition rules. This is a very newbie-friendly game. If you've never played D&D before, fear not. We will welcome you with open arms into our campaign. This may look like a lot of information, but most of it is detailing all the character creation options. Part 1 is about the game of dungeons and dragons and what you can expect as a player. Part 2 is about the island upon which our game will take place. 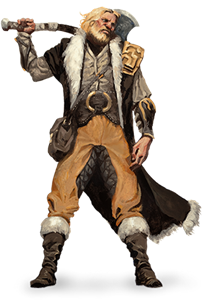 Part 3 covers what you need to know to build your characters and tells you about the three building blocks of character creation, namely Race, Class and Background. It also contains all the character options for you to choose from. 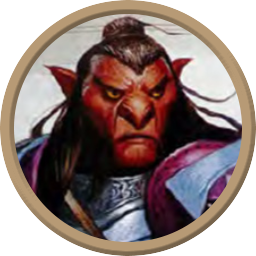 This section will cover some basic information about the game of dungeons and dragons. It will (hopefully!) have useful information for first time players and returning veterans. 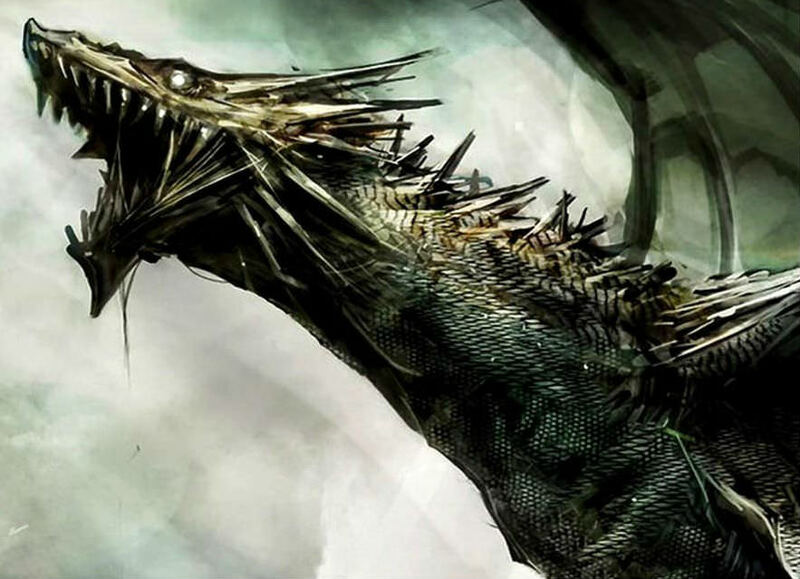 What Exactly IS Dungeons and Dragons? 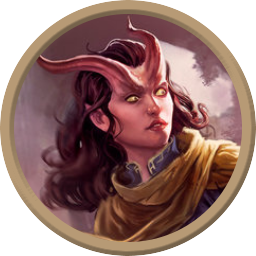 D&D is a co-operative role-playing game in which several players each take on the role of a characters with varying skillsets and abilities. 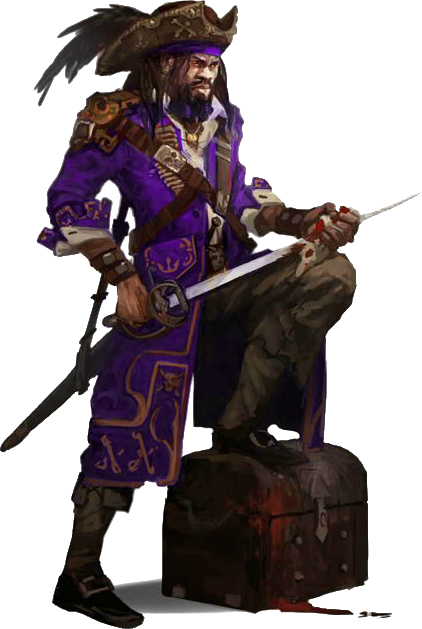 All characters are team-members of an Adventurer's Guild, tasked with exploring an uncharted island. 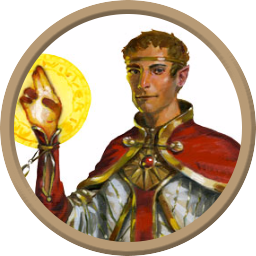 Dan is your Dungeon Master (the DM), who oversees the rules and narrates the monsters while the players steer the story and make decisions collectively and individually. The game is played in our collective imaginations. Most sessions begin with us sat around a table, dice and character sheets ready, as the DM sets the scene, explaining where you are and what you can see. You will have a goal for that session. Perhaps a monster-infested cave to clear out. Perhaps a political assassination to thwart. Maybe a revenge mission. The game session will see you try to acheive that goal, though you may not always succeed. It is a collaborative storytelling game with intuitive rules and dice rolls to cover any situation. The setting is medieval high fantasy. Knights, Kings and Queens, villages and beasts, but with dragons, orcs, monsters and Gods. Think Lord of the Rings, The Hobbit, Game of Thrones, or classic 80's sword'n'sorcery movies. We take inspiration from the Dungeons and Dragons narrative pantheon. Monsters are largely from the official Monster Manual, some locations may be familiar. But the lore of this world is unique to our campaign. While most campaigns feature a small group of regular players committed to a recurring meetup, this campaign instead embraces busy lifestyles and favours a drop-in/drop-out playstyle. We have a large cache of irregular players, and each monthly quest will have room for 2-6 player characters at a time. You are part of an Adventurer's Guild exploring Shaar. 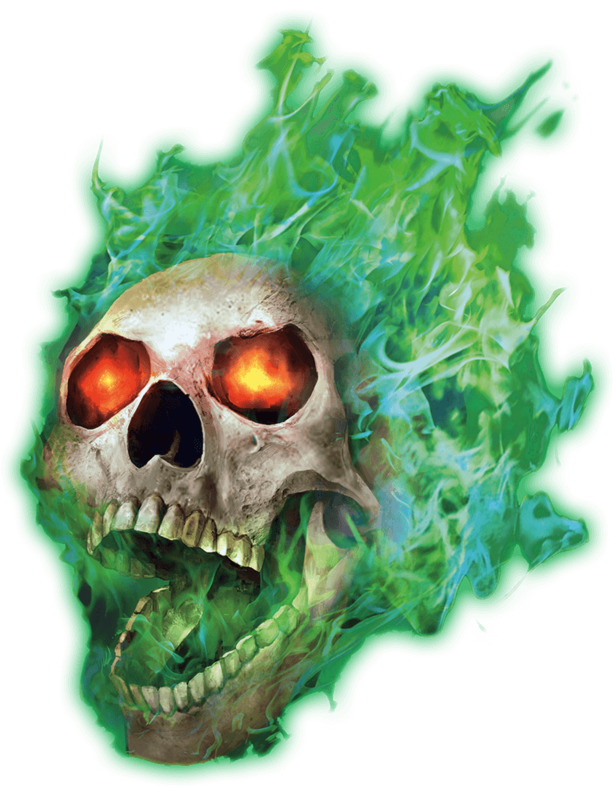 Each gaming session will see the party set out on a quest of their own choosing, with each session resulting in their triumphant return, bedraggled retreat, or worse, your death. As you play, your character levels up new abilities and successful quests will net you loot, gold, treasure and magic weapons. Each play session will be self contained, but there are a few over-arching story elements. While full knowledge of the rules is absolutely not necessary we do have expectations of players joining the game. As this is a co-operative game with a rotating lineup, create a character who works well with others, avoid evil characters or anyone who might betray their colleagues. Every DM runs their game differently, which is the beauty of D&D. Don't hold fast to any preconceptions. 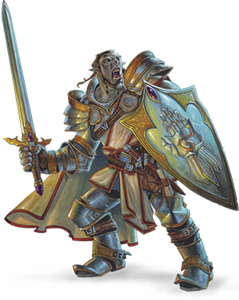 Know that the DM is not here to defeat you, but to empower your heroism. The dice land where they land. Simply this - your character has motivations and traits. When making decisions in-game, make decisions true to the character. That's all. Do I have to act? Do voices? Only if you want to. Many people don't. You can describe everything in the third person - "Garvyn asks the priest if he has seen the assassin", or if you prefer talk in the first person. Whatever feels most comfortable for you. 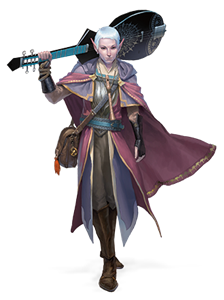 As a DM, I do both types when voicing the characters you might meet. There is no right or wrong way. I'm not sure I can make this a regular commitment, is that a problem? Not at all, in fact, the whole reason we play like this is because getting together is like herding cats! So try it for one session! 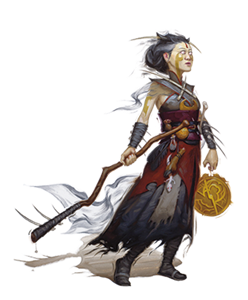 It is designed to be a free flowing campaign, and less rigid than a regular D&D campaign. We're all busy adults! Never feel obligation or guilt. Never! Just promise that if you sign up for a session, you will let me know if you can't make it. I just want to try one game... do I have to make a character? 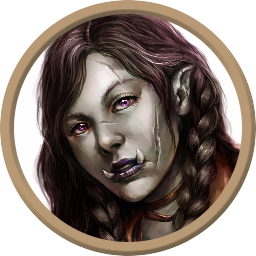 I have a few character sheets ready for immediate action, so by all means, I highly encourage you to come by for a single session and play as a pre-made character. 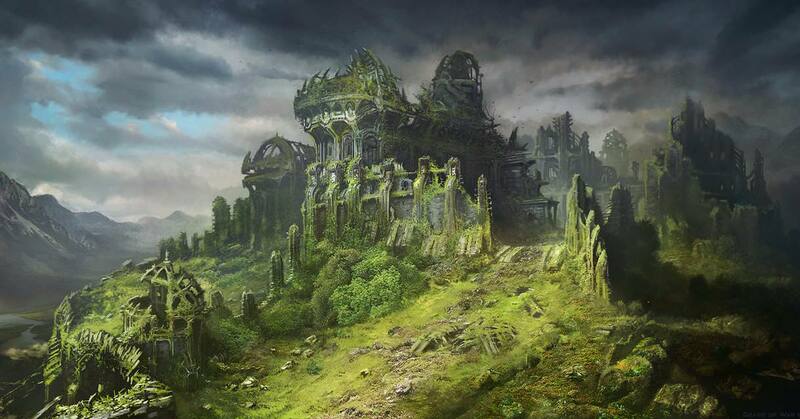 This section is about the setting we will be playing in. It is a unique setting created especially for this campaign. Largely unmapped, we will collectively uncover more information the more we play. 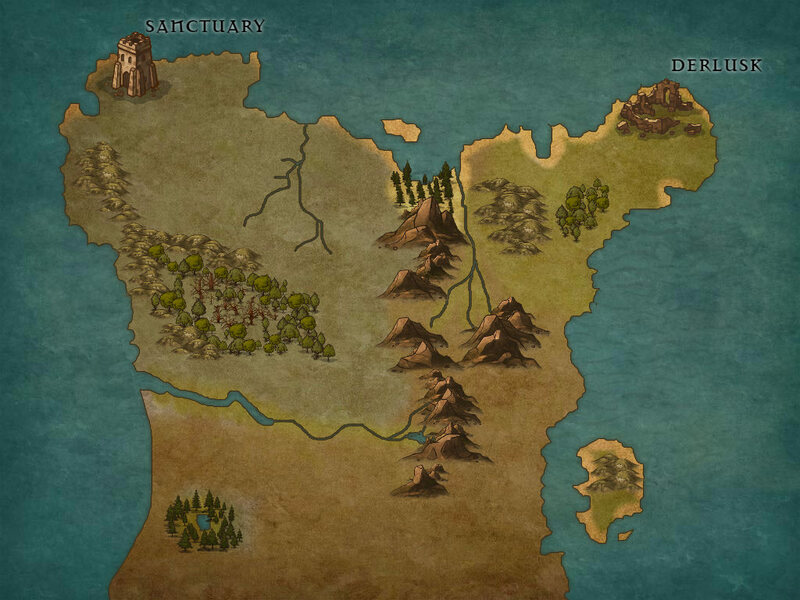 "The Forged Lands" was formerly the southern landmass of the continent of Shaar. The area was thought destroyed during the catastrophic magical explosion known as "The Eschaton" over a century before, disappearing in a boiling sea of fire and arcane storms, assumed to be rubble beneath the ocean. Many regal and magnificent cities studded the lands of Shaar, but that was a very long time ago. Now, a hundred years later, the abandoned continent has resurfaced from the arcane fogs, appearing in a distant and previously empty ocean. 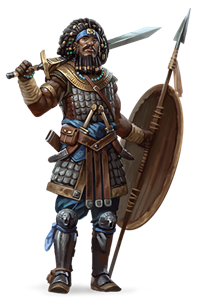 Courageous voyagers, scholars, treasure hunters and explorers have begun to cautiously return to this newly forged continent to search it's ruined ancient cities in search of gold, magic artefacts, fame and fortune. The first bastion of civilisation on the island, Sanctuary is the home of pioneers and treasure hunters. It is your home. A walled safehaven of markets, adventurers, smithys, merchants and houses. 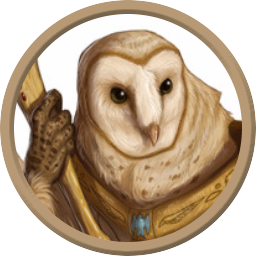 For reasons known best to yourself, you have joined the Adventurer's Guild of Sanctuary, the largest guild on the island. We are explorers, mercenaries, treasure hunters and cartographers. We are here to get rich. Or die trying. 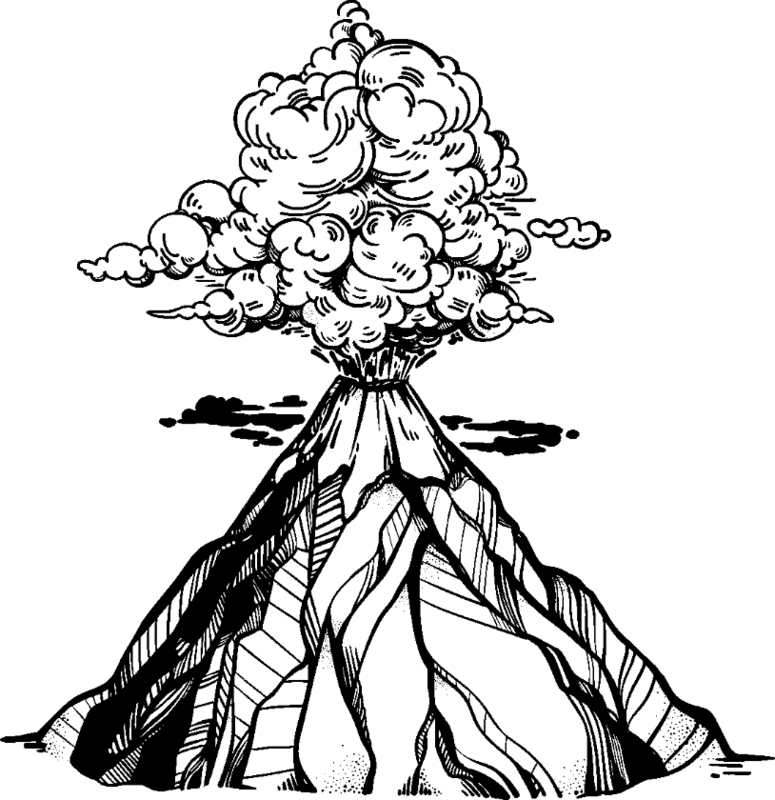 The webforum is the online home of the Adventurer's Guild. You will need to create an account on the forum. Use your character name. Mission dates and meeting location/times are put up here. Use the forum to log attendance for a session, discuss mission plans, suggest courses of action or places to explore and share information. There is a "tavern" forum here too, a digital representaion of the Drunken Mouse Meadhaus, Sanctuary's most rambunctious tavern. 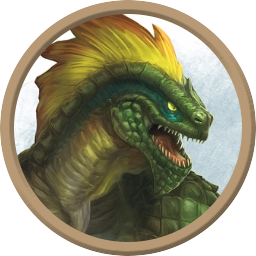 Share information about monsters, locations and treasure amongst yourselves (or if your character might keep some secrets... that's fine too. But consider this... YOU'D want to know about the treasures, right? Once you register on the forum, pop in the tavern and introduce yourself! You can be killed in this game. There are no extra lives. Once your health is reduced to zero, your character is unconscious and begins to die. If your teammates cannot save you in time, you are dead. If your character dies, they are gone forever. 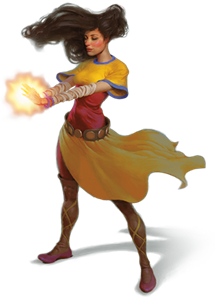 You will need to create a new character before your next session. 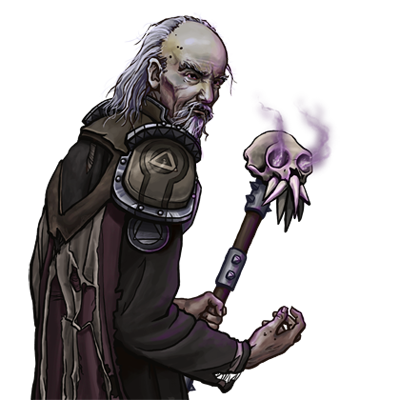 Surviving grievous wounds can lead to lingering injuries, but we have apothecaries and mages in Sanctuary who can patch you up. For a fee. 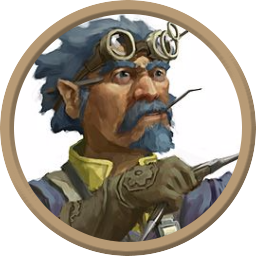 The guild master provides quests and opportunities for exploration and treasure recovery, but any other suggestions or personal quests are welcomed! 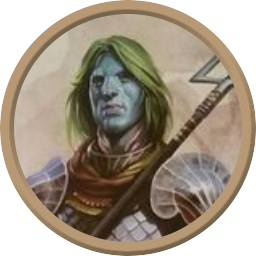 The adventurers will all take a democratic vote. Before the catastrophe that sundered the island it was a huge city of spires and colleges, a densely populated hub of culture and magic. Now it’s rubble, stalked by arcane monstrosities, no doubt housing incredible treasures. 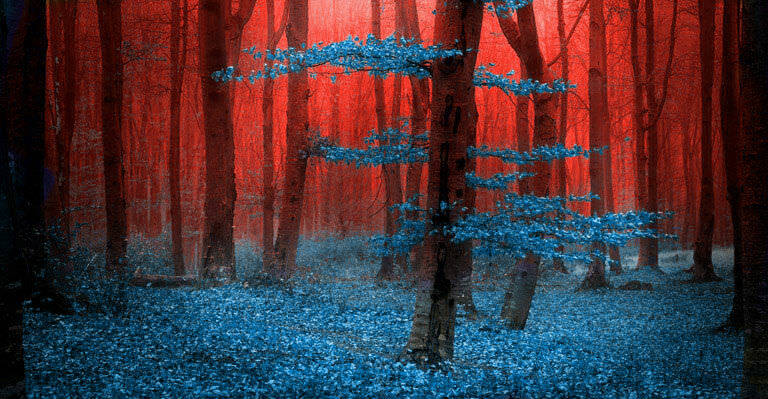 Blue trees mark this forest, rumoured to be guarded by a death knight. 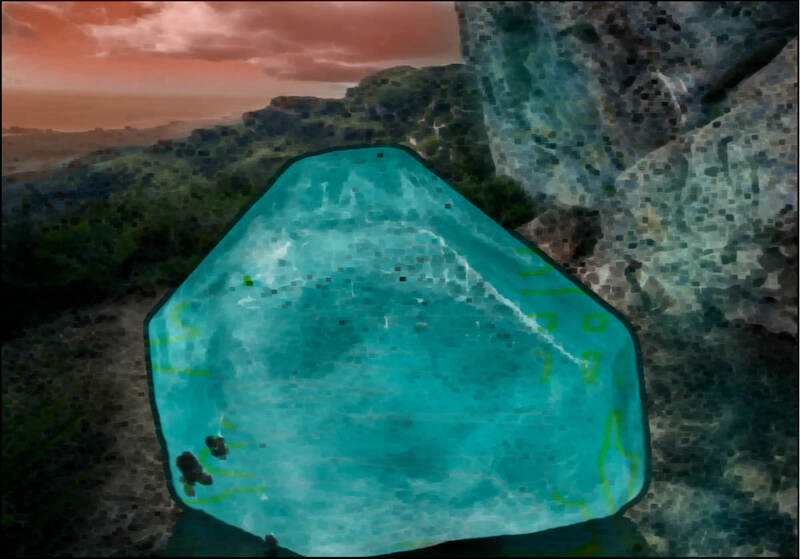 A great glowing stone that seems to communicate telepathically. It has asked us for a vial of dragon blood. Several woodland regions on the island are infested with dangerous undead monsters. There seems to be a connection with the necromancers who are performing rituals here. A magical forest spring with the ability to heal injuries. A pirate gang that shipwrecked on the island almost a century ago. Aggressive isolationist humans, they wear purple coats with gold trim, the uniform of the original crew. Their desire for gold approaches religious fervour. 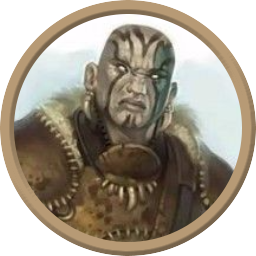 A lost splinter of an ancient dwarven bloodline, Clan Mir survived the apocalyptic breaking of the lands buried deep in their home beneath the mountains. They are a friendly and outgoing people, if a little strange. A great and terrible black dragon that has her home somewhere on the island. 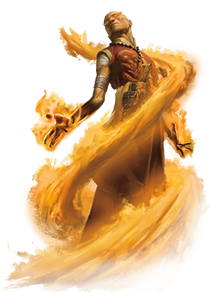 The Monarchs seem to be making regular sacrifices to her and the Guild has had one run-in with her acid breath attack. It will take an army to bring her down. If you see her, run. A diverse collection of zealots that engage in desecration and black magic, they seem to be amassing in the island, travelling from the mainland. An Inquisitor among their number is searching directly for a few of our guild members after a high ranking wizard was killed (in self-defence I might add). Your race determines your appearance and a few innate strengths and features. Some races have subraces which grant further traits. The most definitive aspect of your character. The bulk of your abilities and features come from your class. 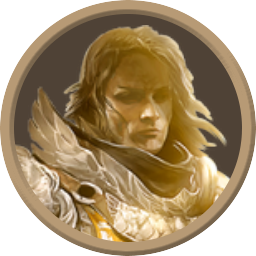 As you gain experience and your class "levels up", you unlock newer and stronger class features. Your background is a brief summary of who you wer before taking on the life of an adventurer. You are free to choose your characters name, gender, age and general appearance. You will get to choose personality traits (traits, ideals, bonds and flaws) from a list provided by your background. Most characters have travelled to the Forged Lands from the mainland. But your character could also be native to the island. 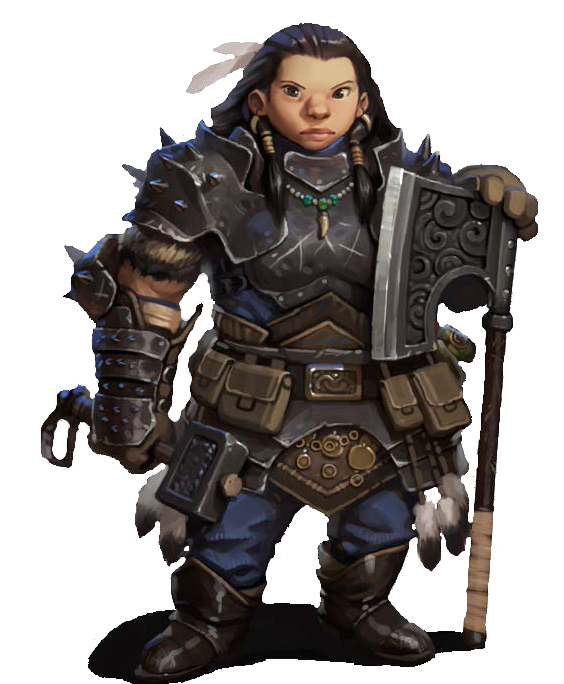 Perhaps a member of the dwarven Clan Mir, or someone who has defected from Gorehowl or the Monarchs. Feel free to suggest ideas to the DM. Not to be confused with "Background" (one of the three building blocks which you will pick when creating your character), your character's backstory is the story of their life up until this point. It will be written on the back of your finished character sheet so it should occupy between 100-300 words. You can write this first, or you can write it last. 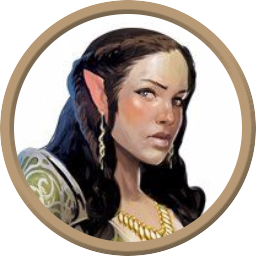 The best backstories for this campaign are a brief explanation of who your character is and what motivates them to make the dangerous journey to The Forged Lands. Include some personal goals and perhaps one or two important figures from your character's life. When choosing your three building blocks, make sure you pick a BACKGROUND that fits your backstory. 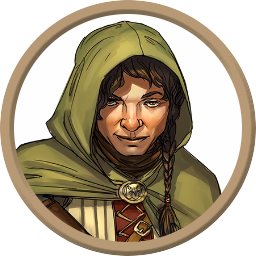 Knowledge of D&D Lore, geography and organisations is not necessary, your DM will be happy to augment details to make your story fit into the world. 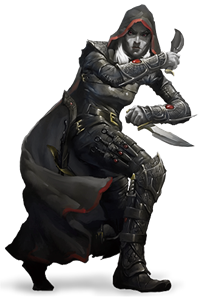 Your DM can provide assistance for your backstory, be sure to send me your ideas. All characters will start at level 2, fairly low level. Keep this in mind when creating your backstory. Your character is just beginning their journey from ordinary to extraordinary. Have a think about your backstory too, but you don't need to have anything prepared in advance. We will work out the rest of the details together. The next section will contain information on the RACES, including the bonuses they receive to their basic stats and the evocative names of some of their unique features. 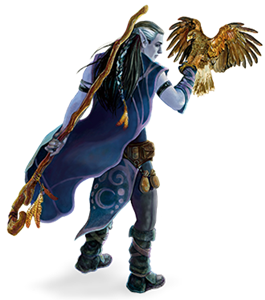 The most widely represented races on Faerun. 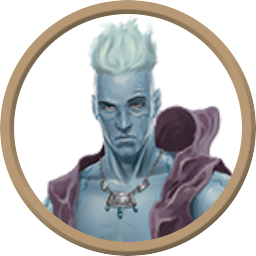 If this is your first character, we recommend one of these races. Intrepid explorers and impatient treasure hunters, humans make up the majority of the population of Sanctuary. Stoic, bold and hardy, the mountainfolk and born miners and metalworkers. Devout and communal. 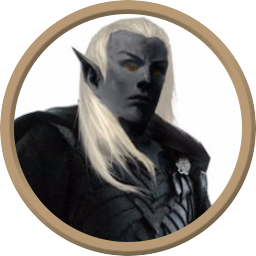 A naturally diplomatic people, half elves are versatile, combining the best of their human and elven heritage. 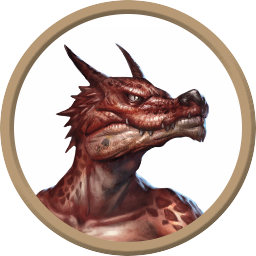 Hulking and intimidating in form, these draconic humanoids can trace their lineage back to dragons. 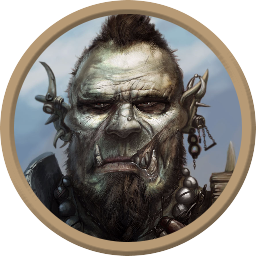 Often shunned in society, half orcs are born with a raw strength and determination other races lack. Unusual and uncommon, members of these races inspire curiousity in most folk, fear in others. Sequestered in high mountains atop tall trees, the aarakocra, as tall as humans but with birdlike heads and wings, evoke fear and wonder. 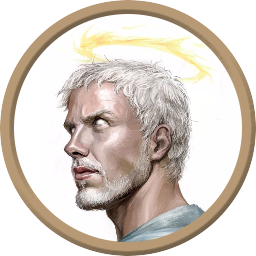 Celestially-touched humanoids, Aasimar are placed in the world to serve as guardians of law and good. Magical beings that channel elemental powers of earth, fire air or water. 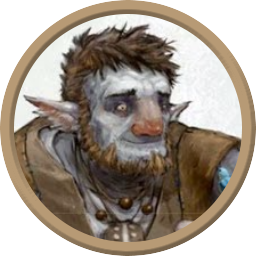 Firbolg tribes cloister in remote forest strongholds, preferring to spend their days in quiet harmony with the woods. 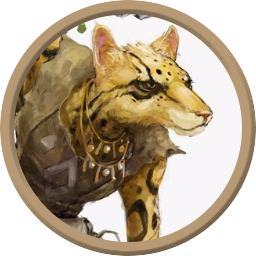 From a strange and distant land, wandering tabaxi are catlike humanoids driven by curiosity to collect interesting artifacts, gather tales and stories, and lay eyes on all the world’s wonders. Guardians of the deep ocean floor, in recent years the noble tritons have become increasingly active in the world above. 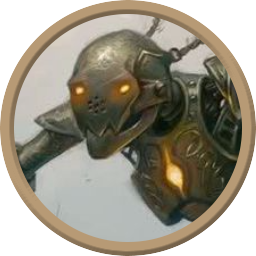 Metal and wood, imbued with sentience, built as an army to serve a long dead warlord. The question of whether or not they have souls engulfs much of their thinking. Not all monsters are born evil. 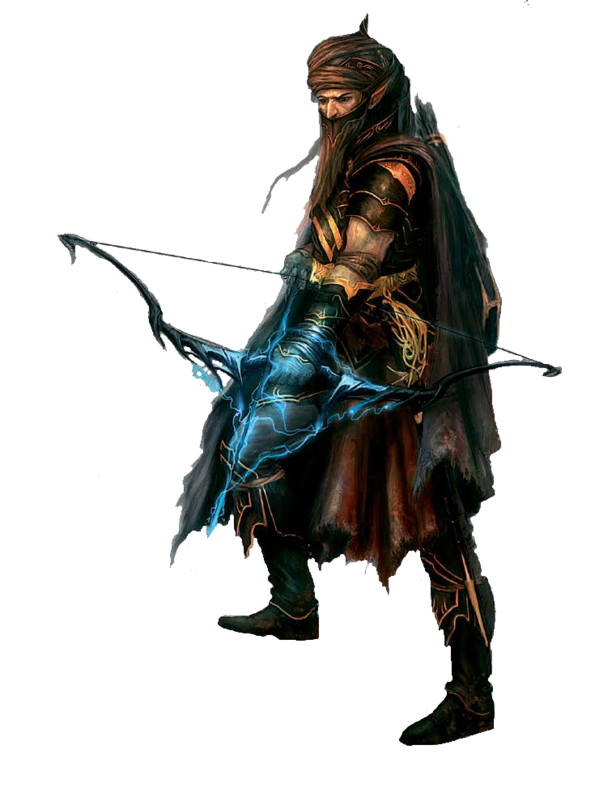 A small fraction live with a higher purpose, abandoning their kin and becoming adventurers. It's a lonely existence, fraught with misunderstanding and prejudice. 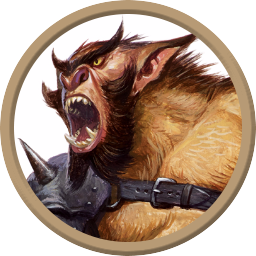 Bugbears feature in the nightmare tales of many races — great, hairy beasts that creep through the shadows. Subterranean elves known for their almost inherent evil . Widely reviled as slavers and torturers, a few exceptions have become champions of good and justice. 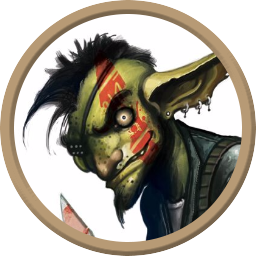 Goblins occupy an uneasy place in a dangerous world, and they react by lashing out at any creatures they believe they can bully, though some goblin seek acceptance and friendship among other races. War is the lifeblood of hobgoblins. Its glories are the dreams that inspire them. They are born tacticians. Diminutive kobolds are typically timid and shy away from conflict, but they are dangerous and vicious if cornered. 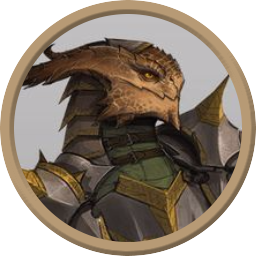 Lizardfolk possess an alien and inscrutable mindset, their desires and thoughts driven by a different set of basic principles than those of warm-blooded creatures. Orcs live a life that has no place for weakness. Every warrior must be strong enough to take what is needed by force. This describes what you used to do before you came to the Forged Lands. Don't overthink this too much. Simply pick the title that closest matches your backstory. If you don't have a backstory yet, perhaps use this list as inspiration. If you're familiar with the way D&D works you might want to have a peek at the following houserules we employ in game. Some of these changes are unique to this campaign, some are fixes to unbalanced classes, some have been added to make exploration work better. Some giveth, some taketh away. 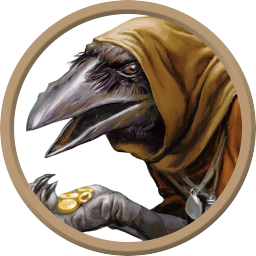 Lore - Though the Spellplague happened in currently existing D&D lore, in our campaign the nature and residual effect is different. Injuries - you roll on a random injury table whenever you are knocked unconscious. No evil alligned characters - it creates too much tension in game and is difficult to justify. I will run an all-evil campaign in the future! 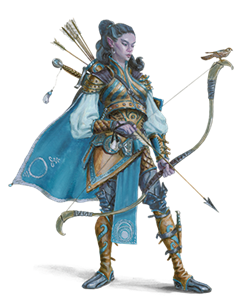 The Ranger class - we use the Revised Ranger provided by Unearthed Arcana rather than the PHB ranger. Other Character Options Races and classes not in this guide are possible additions, as long as they are semi official and well balanced. Speak with the DM. 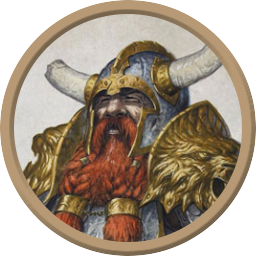 Nothing from D&DWiki will be permitted. Inventory Sheets - we track Inventory and ammunition in game using a special sheet. You will get one when you get your character. It is up to you to keep it up to date. No DM Summaries/Overviews - It is up to the players to share information and keep each other informed. You're all in this together! No PVP Except in special or agreed circumstances, there will be no player vs player combat.